Catawba Falls 360-degree panoramic views. Catawba Falls is a series of waterfalls on the headwaters of the Catawba River, in McDowell County, near Old Fort, North Carolina. 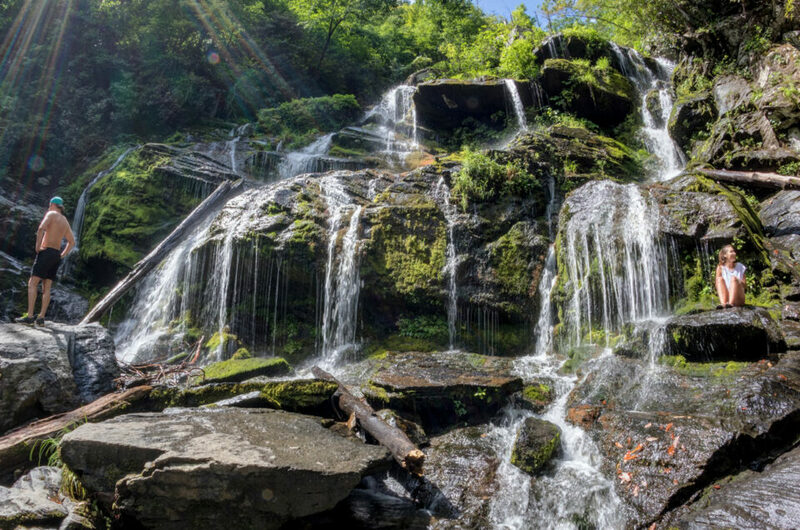 The falls is part of the Pisgah National Forest. For many years, while the falls were located on public land, visitor access to the falls was heavily restricted. The only access points to the falls were a trail that went through private property, and access points off of Interstate 40. Use of either access point was illegal. In 2005 and 2007, the US Forest Service purchased 88 acres (360,000 m2) of land at the end of Catawba River Road for a trailhead. In 2010, access to the falls was officially opened to the public. In 2012, a new parking area was built by the Forest Service. The Forest Service plans further improvements, including a footbridge over a tricky crossing of the river along the trail and a new trail to the upper falls, bypassing a section considered steep and dangerous. 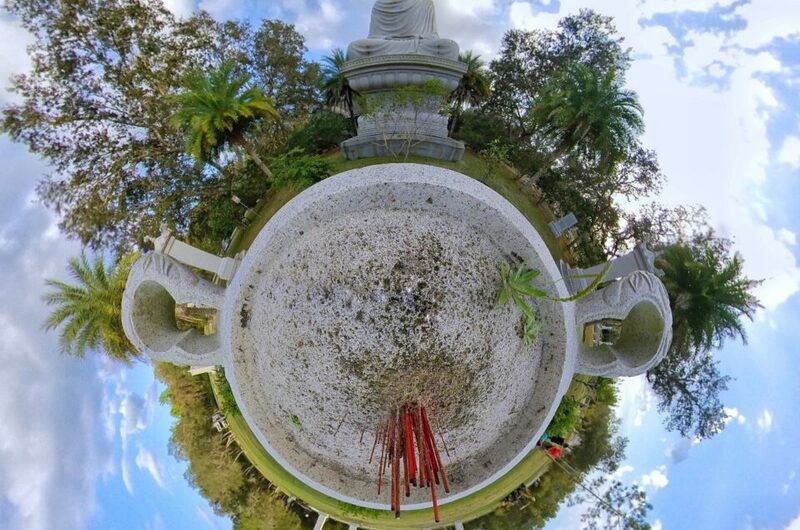 Click on the play button to view the interactive 360-degree VR version on the image. Here are a few more 360-degree panoramic images from my trip to North Carolina.